We know you have many choices for wedding catering for your big day and we are honored that you are interested our services. As you know, we are a very trust worthy company and have been serving the Austin area for over 50 years. You can rest assured we will take excellent care of you! Our customer service is outstanding and we would love to work with you for a fabulous event! We own and rent the following: Rectangle, Cocktail and Round Tables, 5 Varieties of Chairs, Tents, Dance Floors, Lighting, Linens, 5 Different Place Setting Options, Traveling On Site Smokers and Grills, 4 Varieties of Chafers, Decanters and more. Preferred Vendor at over 59 Venues in the Austin Area. Founding Partners of the Austin Baptist Chapel Soup Kitchen for 40 years – serving our homeless community in downtown Austin. We also support many local charities and non-profits. Daily corporate, cafeteria style catering for ERCOT, Flextronics and Durcon. Corporate clients include: Nike, Facebook, Round Rock Express Baseball Club, SXSW, F1, ACL and other city wide festivals. 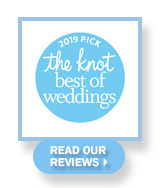 We also book over 400 weddings each year. As you can see, we are well equipped and would be a great all inclusive caterer for upcoming events. You can check us out on Weddingwire.com, TheKnot.com, and several other places for outstanding reviews. Download a copy of our Catering Catalog in PDF format. Great for both sharing and printing. Please contact us for a complimentary hard copy. 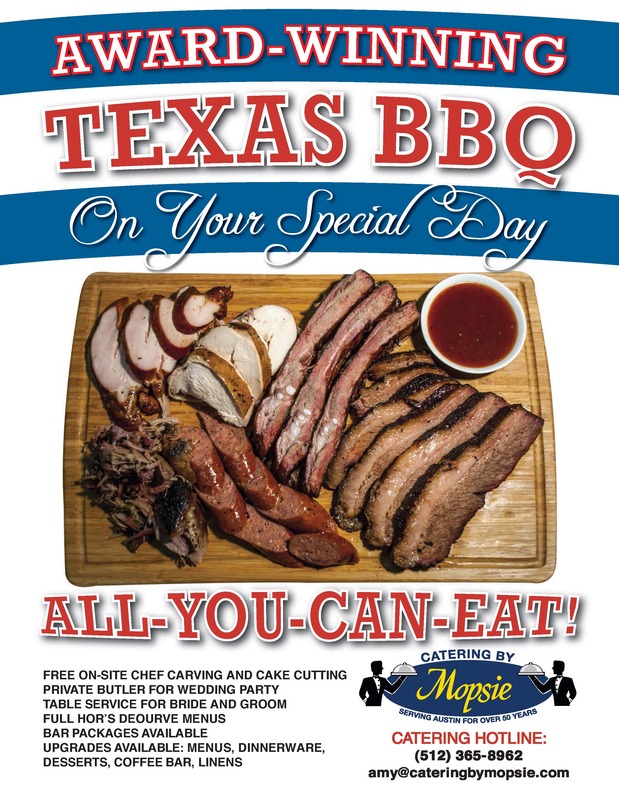 Authentic, all you can eat Texas-style BBQ for your special event. Download the flier to share with family, friends, and colleagues. You MUST book Catering by Mopsie for you wedding! The food was amazing! All of my guests thoroughly enjoyed the Texas Style BBQ, mashed potato bar, and the Margaritas. As mother of the bride, I cannot say enough good things about Catering by Mopsie. The food was fabulous. Their experience and the quality of their food made everything so easy. People LOVED the food and we received excellent service throughout the entire night. I'm highly impressed with Mopsie! 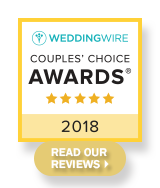 73 Reviews at Wedding Wire and growing strong! Contact Patty at patty@cateringbymopsie.com or call 512-365-8962.